Name the social media accounts you’re focusing on in your social marketing right now. We bet you listed off some obvious ones: Twitter, Facebook, LinkedIn. You might be using Instagram or Pinterest if you’re with a visual-based business or adventurous. You might be using a few other outliers – is Google+ one of them? Depending on how you work well with SEO, Google+ results will show up first on search results pages. Say you’ve got a blog you’re really proud of that gets shared on various social interfaces and sites. For this example, say it was shared on Facebook, LinkedIn and the original blog post itself. It was also shared on Google+ – guess which will show up first on the results page? Facebook is actually more likely to show up, but Google+ comes in at a close second. Despite not being a frequented social site by millennials, it’s still one that Google is paying attention to as a large social media power house, even though it might be a biased decision. When content is shared on Google+, it’s very likely that it will show up at least once on the first page of Google search results, and this is important. While the importance of posting to bigger social sites like Facebook is obvious, Google+ might also be something to add to your social repertoire because of its first page power. This may surprise some readers – you’ve probably read more than one article predicted the death of Google+ like it’s on a celebrity death list. “This will surely be the year that Google+ kicks the bucket,” they say. “It’s been going on way too long to not be dead by now.” And yet it still persists as a social media powerhouse with a lot of SEO power. This is especially good news for blog writers. If you have a business that has a blog, you can easily get more and more exposure from sharing on Google+ as well as other social circles. Just like with other social media accounts, Google+ users can easily click a button you provide for them in order to share the content on Google+, giving you a lot of extra views. So this goes back to the obvious question – is G+ worth investing social time in? Google+ is a social media account that obviously has a lot of sway with Google’s results output. It’s great at pumping content to the top of the charts, but is it worth putting a lot of time, effort and money in when that’s all it may be doing for you? While Google+ obviously has a purpose and value, it’s not as big a social platform as Facebook or Twitter, and that’s where a lot of your views are going to come from. Google+ has a lot of accounts under its belt, but many of these can be accredited to forced signup. Sites like YouTube and some apps require G+ accounts in order to work, so many users create them as if they have a gun to their head. Think about this in terms of statistics – when you hear about how many accounts have been created and how active the site is, a lot of this traffic comes from second-hand logins and uses through other social platforms. This doesn’t help you get views. The good news about social media is that it’s a cheap tool to utilize. When you ask if Google+ is worth investing in, the answer is “sort of” because while it doesn’t have a lot of expansive value, you also aren’t going to have to invest too much into the site. You can get most of your use out of social media sites like Google+ by simply creating one and using G+ share buttons on your content and pages. 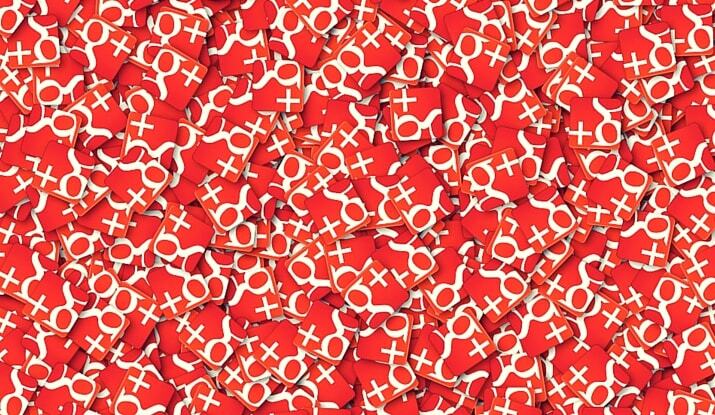 Users who do believe in the power of Google+ will use these and you’ll reap rewards. You’ll also find it easier to get these views on your own if you go ahead and share your content on G+ yourself. You may not have to invest a lot of time in getting your content visible – at least not as much time as you invest in sites like Twitter that require a lot of strategy management. In the end, it’s great if you have a Google+ account – you should have one in case the tides shift again, anyway. Twitter and Instagram are the kings of the Internet right now, but tomorrow that might change. Just don’t feel like you’ve got to log in every day and use it as your foremost form of social media. It’s worth a small investment and you’ll get your rewards easily, but it’s certainly not a social account made for putting all your eggs into its basket.